The English School of Kyrenia is a school offering an ‘British-style’ education for students in North Cyprus. A purpose-built boarding school, the school has excellent modern facilities and is lucky enough to enjoy a lot more Mediterranean sunshine that students would get in the UK! 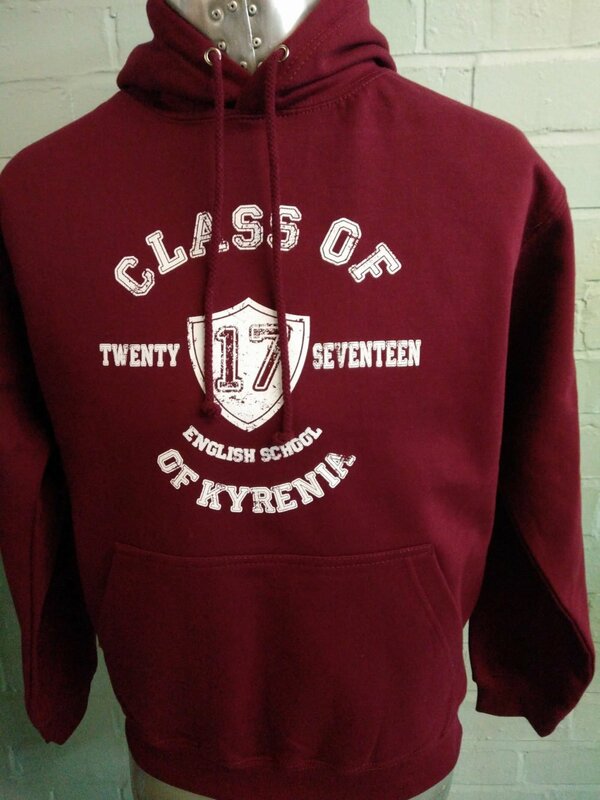 The English School of Kyrenia chose one of our most popular colours – burgundy – as the main colour in the class of 2017 leavers hoodies. 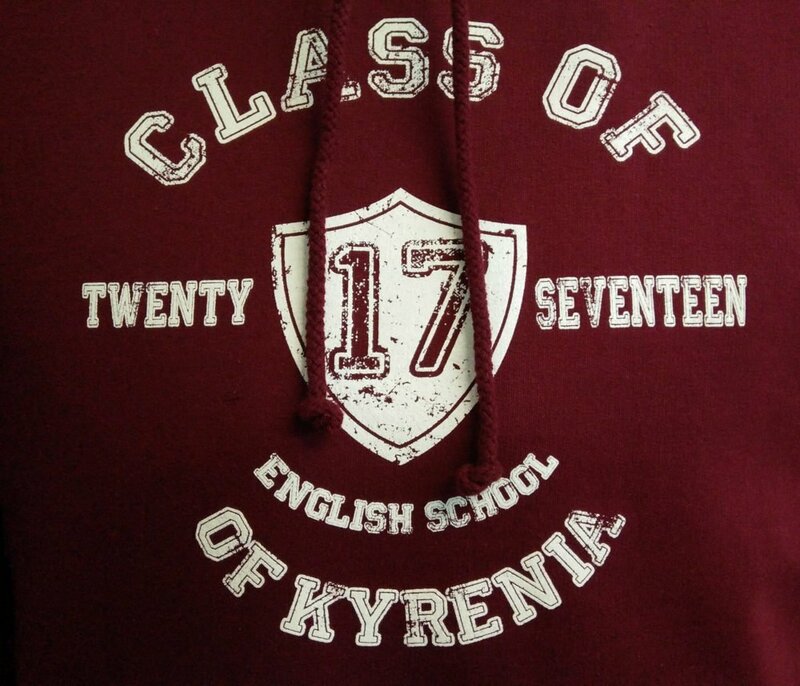 Printed on top of this, on the front of the leavers hoodie, is the wording ‘Class of twenty seventeen English School of Kyrenia’, which encircles a shield featuring the number 17. 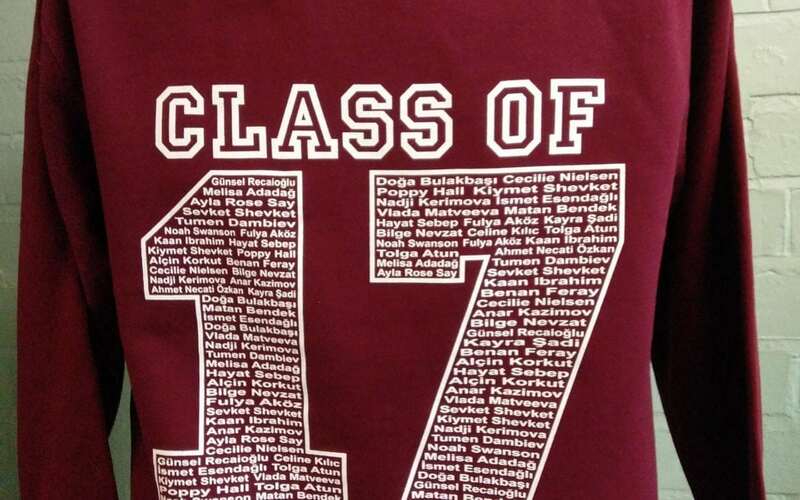 On the back of the hoodie, leavers names are printed within a bold outlined number 17, with the words ‘Class of’ and ‘Leavers’ printed above and below the ‘17’. Wherever your school or college is situated, if you’re looking for a leavers hoodie that is personalised to your school, your school colours and to the students leaving each year, then you’ve come to the right place! Take a look around our site at the different options available and feel free to contact us if you have any questions about what we can do to make your leavers hoodies perfect for you.